Looking for an SUV with great off-road capability, advanced technology, massive amounts of interior volume, and fuel economy? 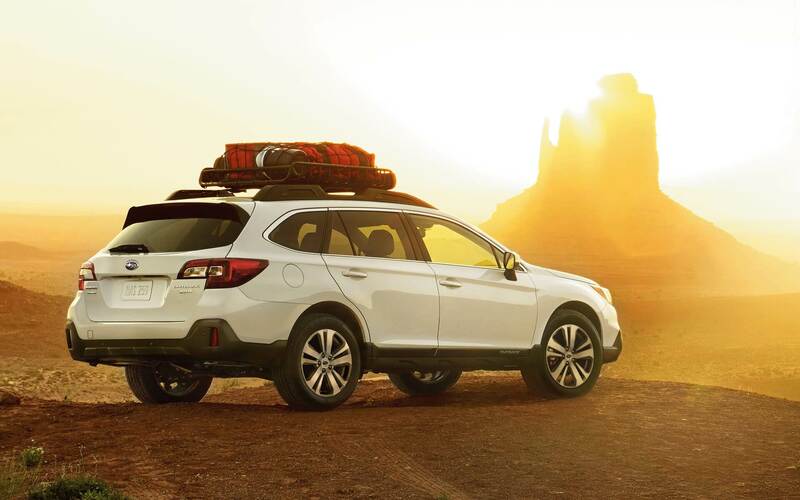 If so, the 2018 Subaru Outback is the perfect vehicle for you! 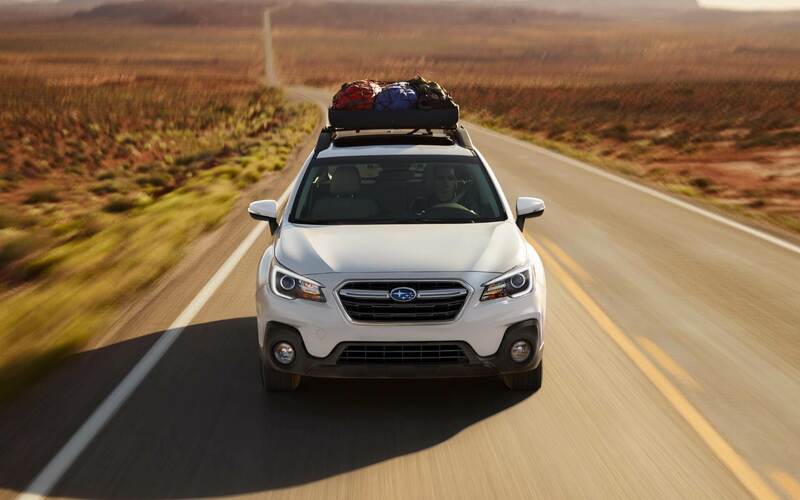 With updated exterior styling, improved technology, and new headlights with LED daytime running lights, the Outback is better than ever. 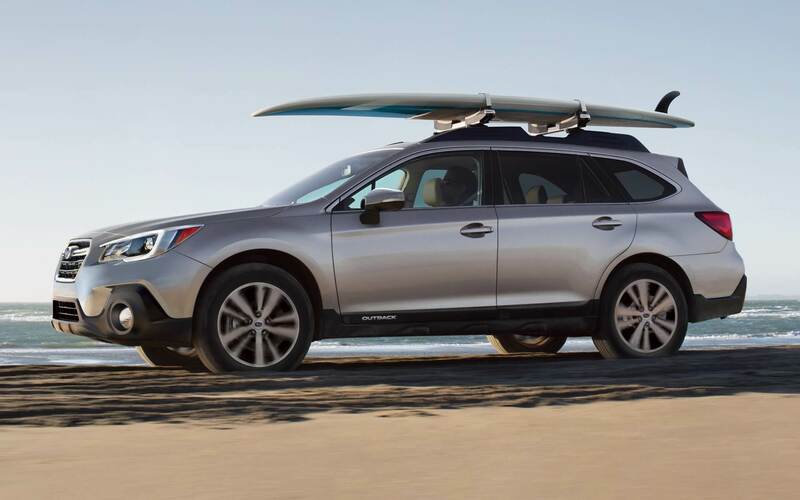 Check out some highlights of the new 2018 Outback below! What powertrain options can be found within the 2018 Subaru Outback? The standard powertrain for the new 2018 Subaru Outback begins with a 2.5-liter BOXER engine. This engine is strong and uniquely engineered. It generates intense power-producing up to 175 horsepower and 174 pound-feet of torque. This engine also features an Active Grille Shutter system that reduces wind resistance, in turn improving fuel economy. Alternatively, there's a DOHC 3.6-liter six-cylinder BOXER engine that's available in 3.6R trim levels. This engine creates an astonishing 256 horsepower and 247 pound-feet of torque. 90 percent of peak torque is harnessed and sustained between 2,000 and 6,000 rpm, leading to an exceptional and responsive drive at any speed. These engines both come standard with a Lineartronic continuously variable transmission that features a seven-speed manual mode as well as an all-wheel-drive system. 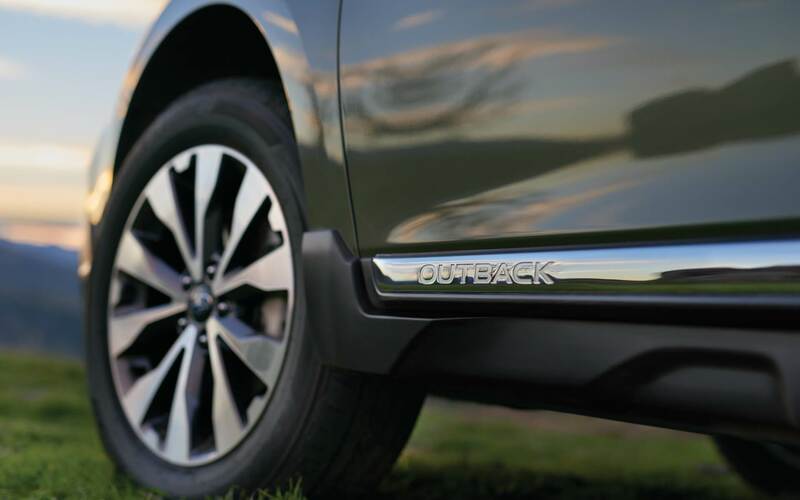 What features make the 2018 Subaru Outback an off-road-capable vehicle? 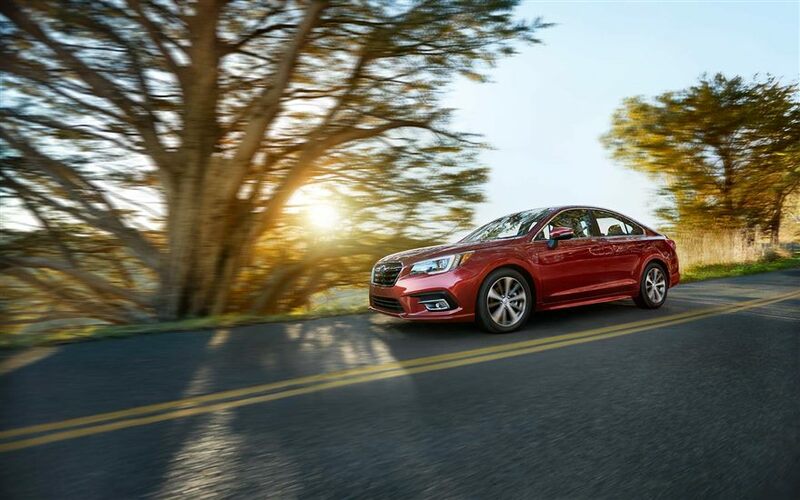 The Subaru Outback of 2018 has an updated and retuned electronic control unit within the continuously variable transmission. This contributes to a smoother and more controlled response. 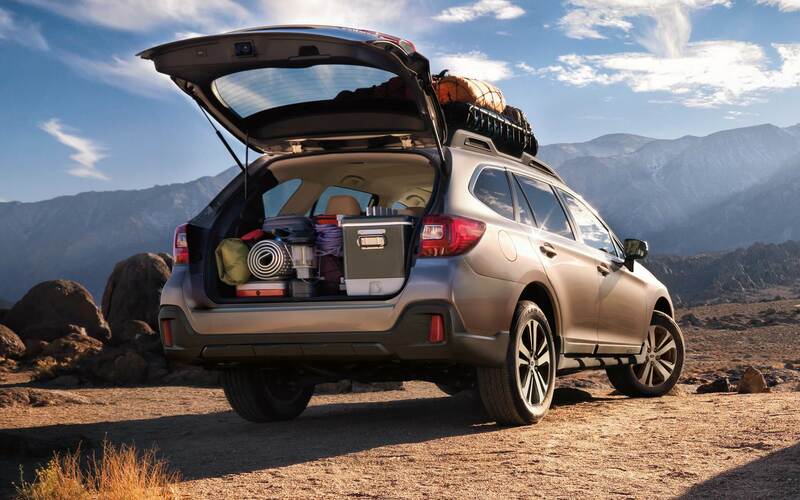 The Outback is also equipped with Subaru Symmetrical All-Wheel Drive and Active Torque Vectoring-together, these systems give the Outback outstanding grip and handling in any weather condition or terrain. 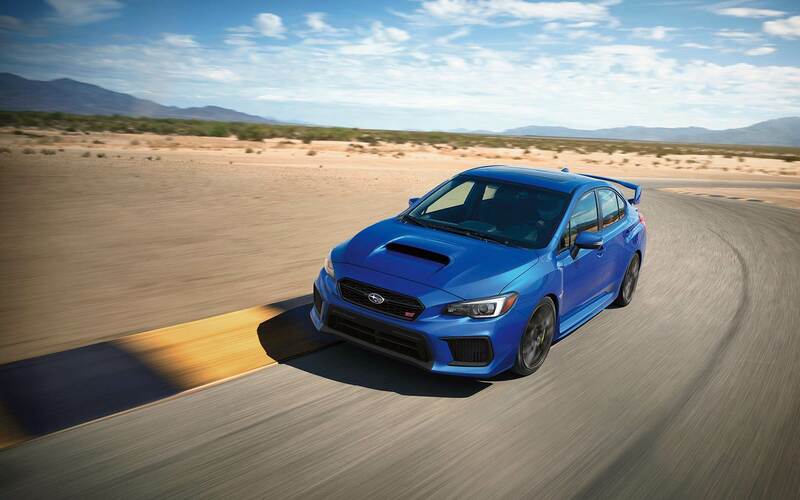 Subaru Symmetrical All-Wheel Drive features an electronically managed continuously variable transfer clutch-this clutch manages torque distribution by evaluating available traction, acceleration, and deceleration. 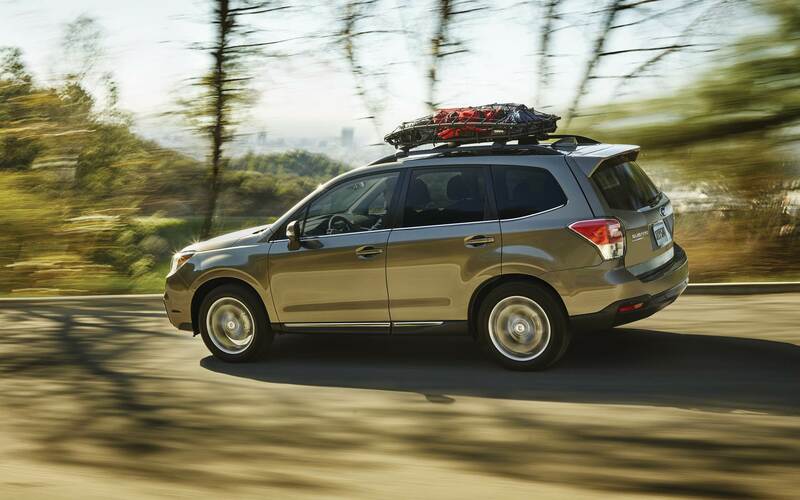 The Outback also has a high ground clearance of 8.7 inches that allows it to tackle tough terrain. 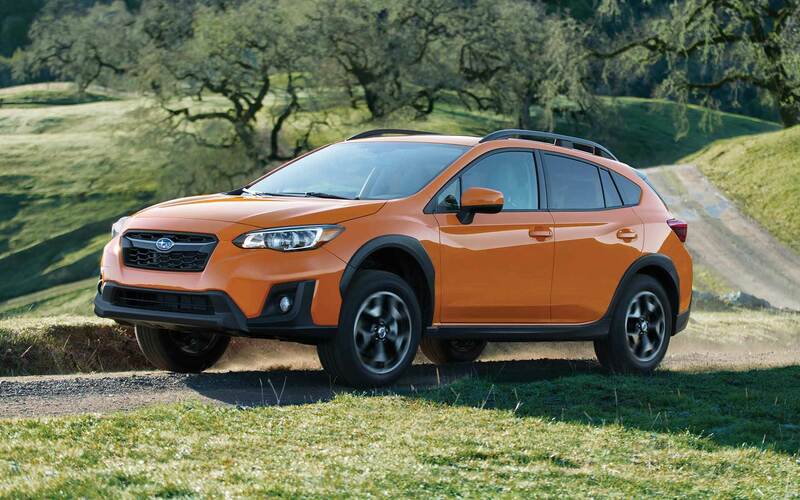 Driver-selectable X-Mode makes the Subaru Outback a prime vehicle for driving in the roughest of conditions by optimizing CVT ratio position and engine output, activating Hill Descent Control, using an enhanced Vehicle Dynamics Control stability system that reduces wheel spin, and increasing all-wheel drive engagement. 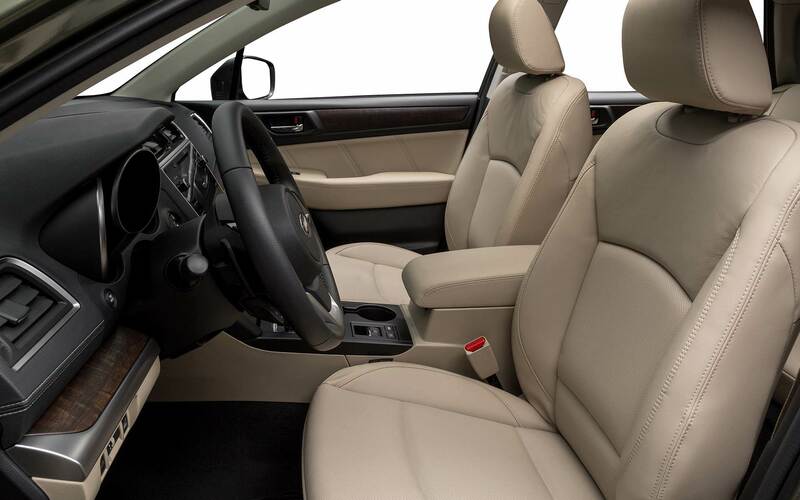 What features can I find in each trim level of the 2018 Subaru Outback? The base trim for the 2018 Outback is the 2.5i. It offers 17-inch alloy wheels, roof rails with crossbars, a rearview camera, air-conditioning, Bluetooth, a four-speaker sound system, smartphone integration via Apple CarPlay and Android Auto, a 6.5-inch touchscreen interface, and automatic headlights. The 2.5i Premium model features heated exterior mirrors, heated front seats, satellite radio, an 8-inch touchscreen, foglights, a windshield wiper de-icer, rear privacy glass, two-zone automatic climate control, a cargo cover, and a leather-trimmed steering wheel. 2.5i Limited trim models include a blind-spot monitoring system, keyless ignition and entry, rear cross-traffic alert, leather upholstery, a front bumper underguard, rear air vents, a 12-speaker Harman Kardon sound system, heated rear seats, and driver-seat memory functions. 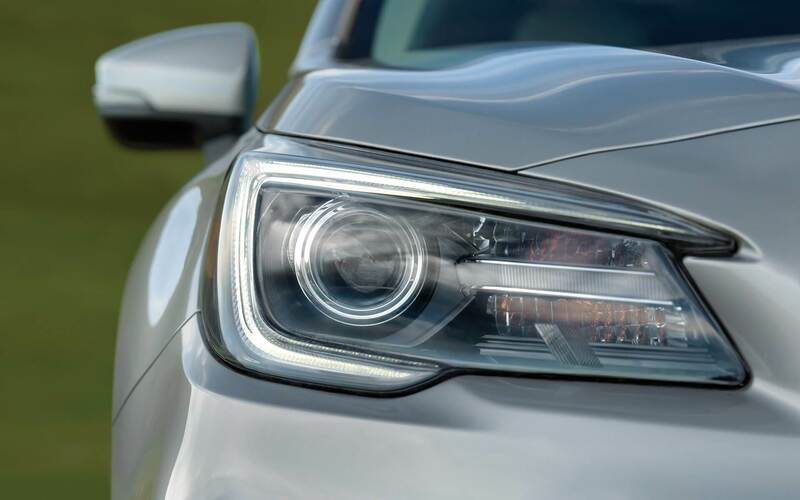 The 3.6R Limited features standard xenon headlights and the improved engine, as well as all the features of the 2.5i Limited. 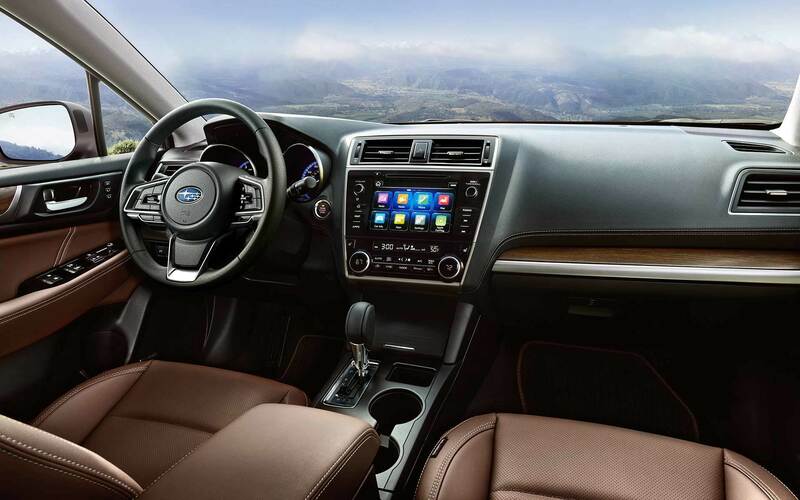 2.5i Touring and 3.6R Touring models feature fixed low-profile roof rails, dark exterior trim, a heated steering wheel, wood grain interior trim, premium leather upholstery, Subaru's EyeSight system, navigation, and more. 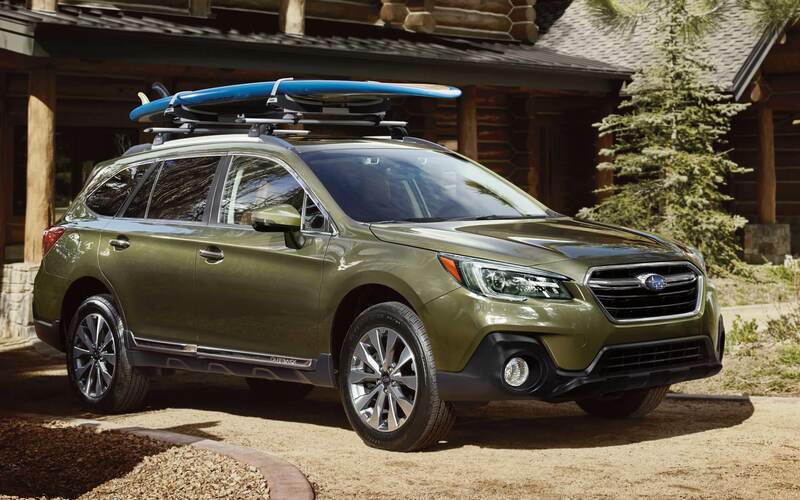 We're so excited to be offering the 2018 Subaru Outback to our customers. We have many Subaru Outbacks waiting to be driven away on our lot right now, so if the 2018 Outback sounds like the right car for you, contact us today!